"Kimmy Pulls Off A Heist!" When Unbreakable Kimmy Schmidt takes on specific genres, it never does so in the obvious ways. “Kimmy Pulls Off A Heist!” skewers a high-stakes heist film to great comedic effect, highlighting the show’s bizarre, distinct voice. 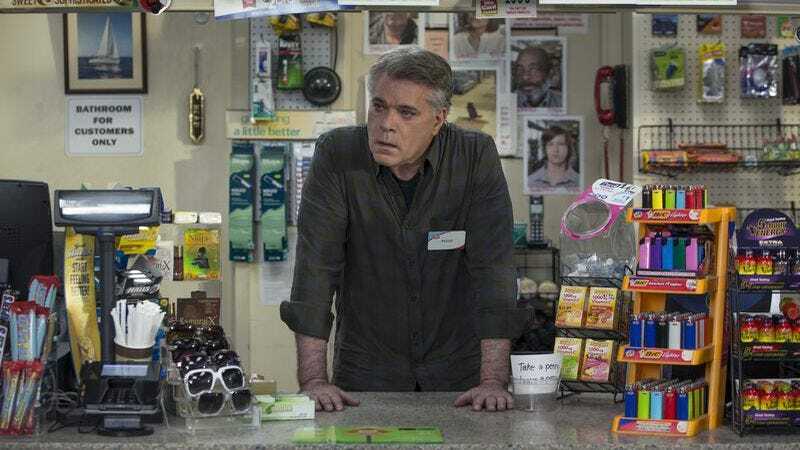 When the new gas station worker Pauly (Ray Liotta) tells Titus he can’t use the bathroom without buying something, Titus ropes his Kimmy into helping him make a copy of the key. It’s an absurd premise, and Unbreakable Kimmy Schmidt makes it even more absurd by presenting it as a heist thriller. The first phase of the heist goes smoothly, with Titus providing the voice-over and bringing along an associate (one of his Barbies in a remote-controlled car). But when he realizes he’ll need Kimmy to distract Pauly every time he needs to use the bathroom, Titus pulls her even deeper into a life of crime, leading to Kimmy’s Pixy Stix addiction. Jeff Richmond provides a suspenseful, fun score to their bathroom heist hijinks, and it all works so much better than it should. Unbreakable Kimmy Schmidt pulls off weirdness so well and does so without feeling like it’s trying too hard. And Liotta’s very straight performance even as he’s delivering ridiculous lines makes the storyline all the better. And even though it’s one of the more absurd storylines of the season, it still ends on a grounded emotional note. That’s where Unbreakable Kimmy Schmidt continually surprises: Its over-the-top zaniness is still backed with meaningful character moments. Just as he’s about to be caught as the bathroom key bandit, Titus runs into Mikey, who tells him he isn’t with Jorf, a.k.a. Jeff, anymore but that he is seeing someone else. Titus had been holding out hope that Mikey might come back to him, and here he accepts that he might not. It’s a genuinely sad moment within an otherwise fun story. Jacqueline’s arc this season moves forward in a huge way this episode, as she finally makes it to her meeting with the NFL owners’ board, where she hopes to use the video of Duke saying he would never let his kids play football because of the concussion risk as leverage to get them to change the name of the Redskins. She underestimates the cruelty of Orson, who sells out his own son in order to stop her. Jacqueline’s meeting with the board provides quite the spectrum of awful people, which the writers have a lot of fun with. Also, Jacqueline temporarily incapacitates them when she needs more time by having Titus sing a lengthy version of the national anthem, because she knows they’ll be compelled to stand for the duration of it. That bit’s funny, but it also gives Tituss Burgess yet another opportunity to show off his pipes. Jacqueline realizes the owners don’t care about anything but money, which leads her to come up with the perfect plan: Jacqeuline tells the owners to capitalize on America’s outrage and rename the teams things that large portions of the country will dislike so that they spend money on jerseys just so they can burn them. A team named Gun-Takers is, sadly, sure to lead to more jersey burning than any of the current offensive names. And Jacqueline appeals to the only thing they care about by presenting an opportunity to make more money. It’s a fitting end to this storyline, reiterating that Jacqueline’s advantage in this fight is that she knows this money-hungry world because she’s technically part of it. But with this crucial part of her arc already wrapped up, it’s unclear where the show will take the character over the course of the last few episodes. Titus’ step goals for a day: 200. Jacqueline accidentally calls Titus “Cork” and then corrects herself by calling him Flouncy. That’s a delightful piece of continuity.